The Crazy Bookworm: Review + Author Spotlight: Hannah Jayne stops by The Crazy Bookworm! Review + Author Spotlight: Hannah Jayne stops by The Crazy Bookworm! What secrets did Hannah keep as a teenager? 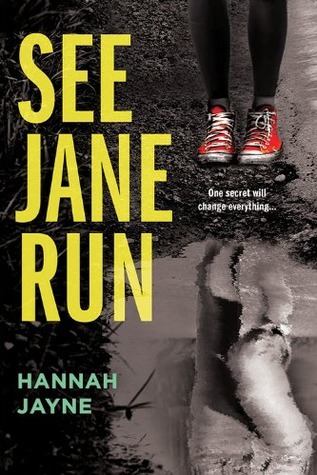 See Jane Run was exactly what I needed when looking for a thrilling escape from the normal hustle and bustle of daily life. See Jane Run had me completely immersed! I could not put it down...Which resulted in 2 very groggy and sleepy(but very worth it!) mornings because I stayed up way past my bed time to keep reading! I absolutely adored Truly, Madly, Deady, so I was very excited to get my hands on this one. Yet, I was a little nervous because would I really love this one the same? Yes! I loved it just the same, if not more. Hannah Jayne knows how to pen outstanding, loveable characters; Ones that you can't help but sympathize with. Jayne also has an amazing ability to craft such heart-pounding, jaw-dropping storylines. See Jane Run did not lack either of these qualities. A mysterious reading experience paired with an amazing character cast made this novel unforgettable! Definitely add this book to your 'Fireside Reads' this Winter!